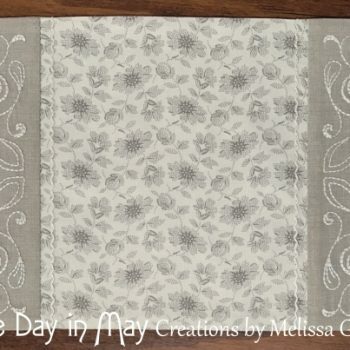 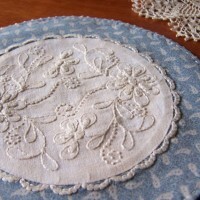 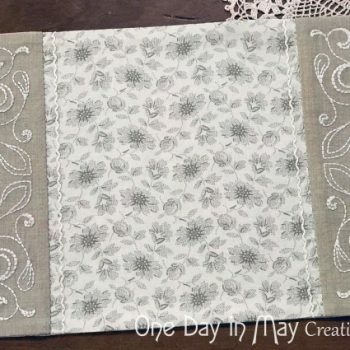 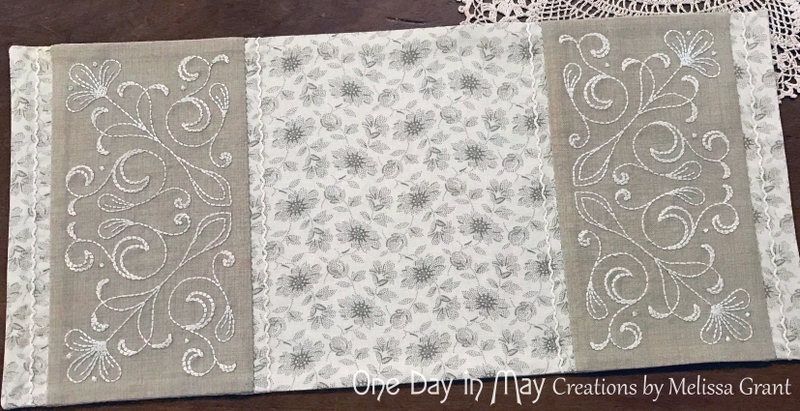 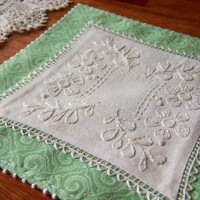 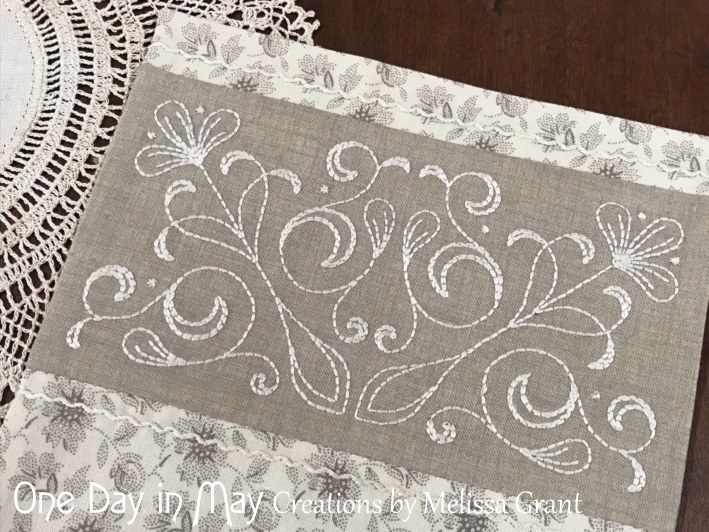 A Doily for Claire – embroidered table mat – Finished size ~ 6 ½” x 14″. 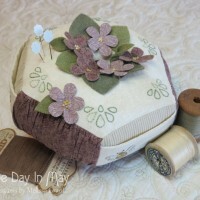 – Combine simple embroidery and a little piecing to create this vintage style piece. 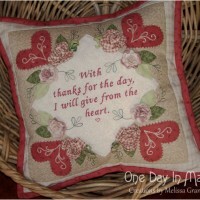 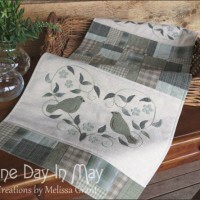 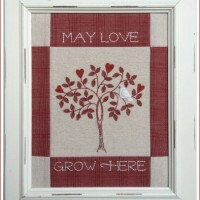 With just 2 fabrics and ecru thread, this sweet project makes a wonderful gift or pretty addition to your home. 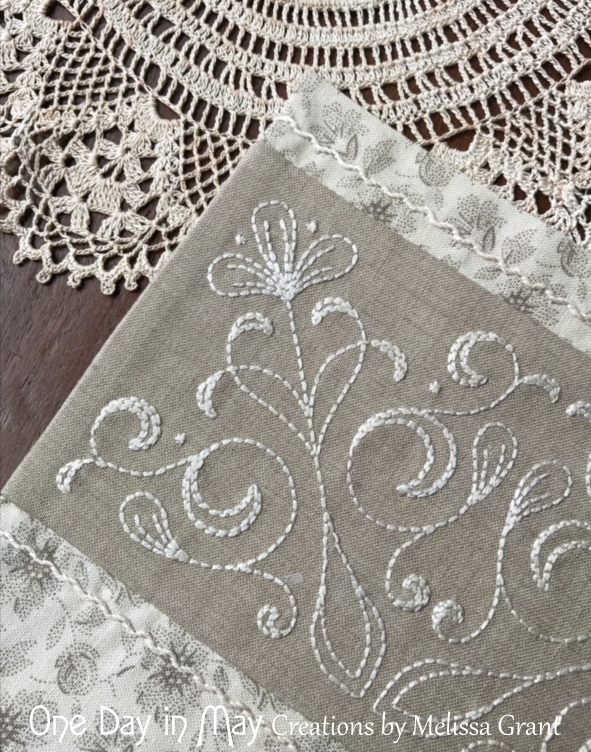 The feature panels are firstly embroidered, then sewn to a complimentary fabric. 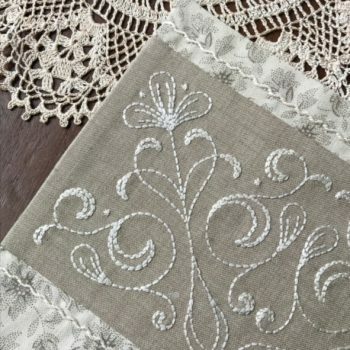 Threaded backstitch is stitched either side of each panel, giving the appearance of braid or fine ricrac. 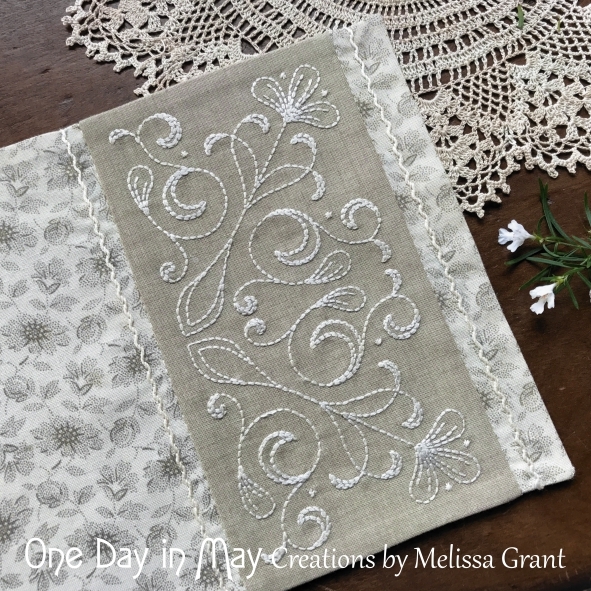 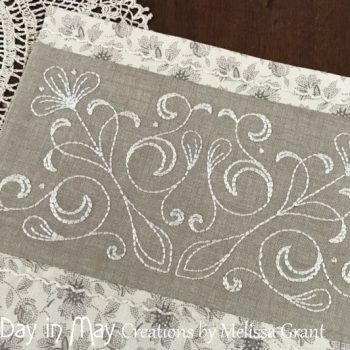 – The “A Doily for Claire” pattern includes an iron on transfer for the embroidered panels, a full sized pattern sheet and photographic and illustrated instruction.